Cayman’s Travis Webb just missed out on a medal in the men’s U20 High jump, taking fourth with a 2.08 metre jump. In the Men’s U20 100m final Geno Jones of the Bahamas took gold as he crossed the line in 10.44, while Michelle-Lee Ahye of Trinidad & Tobago took the U20 Women’s 100m title in 11.50. The competition continues this morning with the women’s open pentathlon long jump competition, the boys under 17 shot put final, and the men’s open heptathlon high jump round. Jamaica is currently sitting at the top of the medal’s table, but Morrison’s gold has placed Cayman in 7th position. 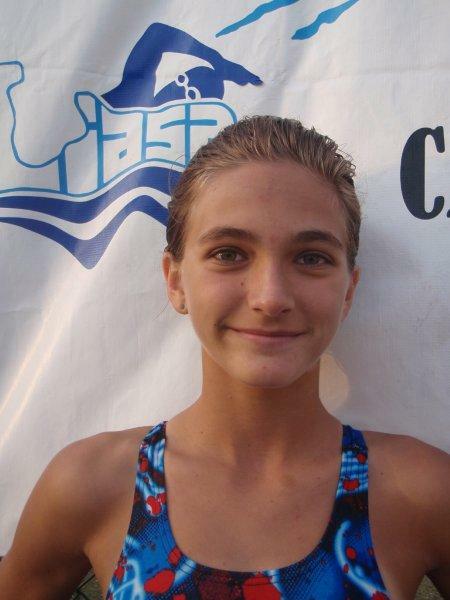 Meanwhile in Jamaica, Cayman’s young swimmers were also clocking up the medals in the CARIFTA Swimming Championships. Coral Tomascik (left) took gold in the girls 11-12 breast stroke. Tori Flowers (Girls 13-14 800 Metre Freestyle), Geoffrey Butler (Boys 13-14 1500 Metre Freestyle), Seiji Groome (Boys 15-17 200 Metre Breaststroke) all won bronze medals. Swim Coach Dominic Ross reports that, of the 27 individual swims on day, 22 swimmers produced personal best times. The relay teams, although not hugely competitive, provided the team with a total of 12 very welcome points between them. 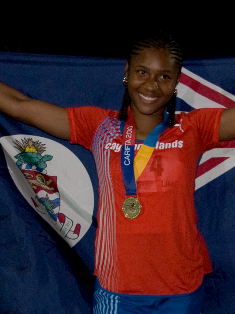 With the exception of Seiji, all of the medal winners are first time CARIFTA medal winners. This is the third time Cayman has experience a smaller earth tremor since the more significant 5.9 quake that rocked Grand Cayman on 19 January. Meanwhile, according to the USGS statistics, there were 22 other earthquakes today around the world, the strongest being a 5.3 in the Kermadic Islands region in the Southern Pacific ocean. Five of those earthquakes occurred in Alaska alone and four in Baja California, in Mexico.